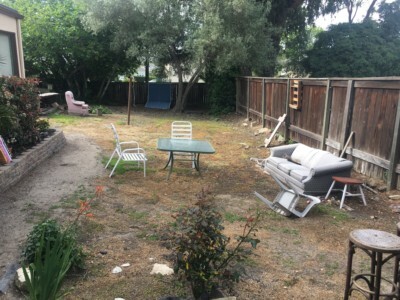 BOOK YOUR SAN LUIS OBISPO JUNK REMOVAL TODAY! San Luis Obispo is a beautiful place to live. 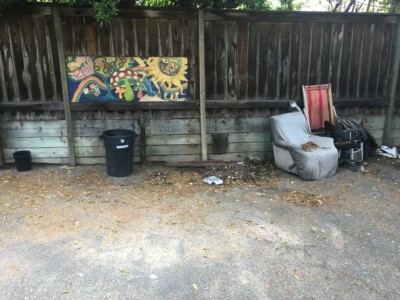 Everyday the hard working employees of San Luis Movers and Junk Removal work hard to keep San Luis Obispo looking clean and staying junk and debris free. We service all areas of SLO County as well as Northern Santa Barbara County. We can help you with Commercial and Residential Junk Removal. Large and small jobs, we do them all. We have both a 16′ and 24′ moving trucks. We’ll bring all the necessary tools to make your job go smoothly. If you need junk removal, call San Luis Movers & Junk Removal. We are San Luis Obispo’s full-service hauling pros, removing junk from residential and commercial spaces from downtown San Luis Obispo, Los Osos Valley Road, or anywhere in San Luis Obispo. We remove most household junk including old furniture, washers, dryers, stoves, refrigerators, sofas, electronics (e-waste), yard waste, remodeling and construction debris. We’re a full-service junk hauler so let us do the heavy lifting. Well remove debris from wherever it is. Many of our customers ask us to remove junk from the back yard, garage, office, warehouse, storage unit and construction site. Show us the mess and our crew will clean it up. WHY HIRE US FOR DEBRIS REMOVAL IN SAN LUIS OBISPO? At San Luis Movers & Junk Removal we’re committed to giving our customers clean, clutter free space. We are different from our competitors in a few different ways. We’re licensed, insured, and bonded. We’ll show up in branded trucks displaying our name. Our team will ask you what you need hauled away. 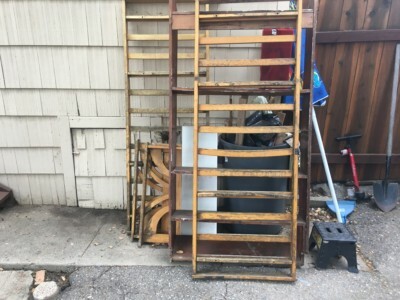 We’ll give you back the space you paid and haul away a ton of junk, literally. Our trash pick-up service includes; the heavy lifting, sweeping up, recycling, and responsible disposal of the items you no longer need. Often, well use the leaf blower to make sure we’ve cleaned up any messes left behind. In most cases, we provide same day and next day service for your immediate junk removal needs. Our yard and our trucks are based in San Luis Obispo, our office is in, Atascadero. Being a local junk removal company, we think it’s necessary to recycle as much as possible. If we can help it, we won’t take your stuff to the dump. Well donate it to a charity or an organization in need. When you hire San Luis Movers and Junk Removal you can be certain that your stuff is being disposed of properly. How Much Does it Cost for You to Remove my Junk? Click here to view our Simple Honest Price List? What items can you take? We’re happy to haul almost any household items away. Click here to view our full list! What Happens to all that Junk?